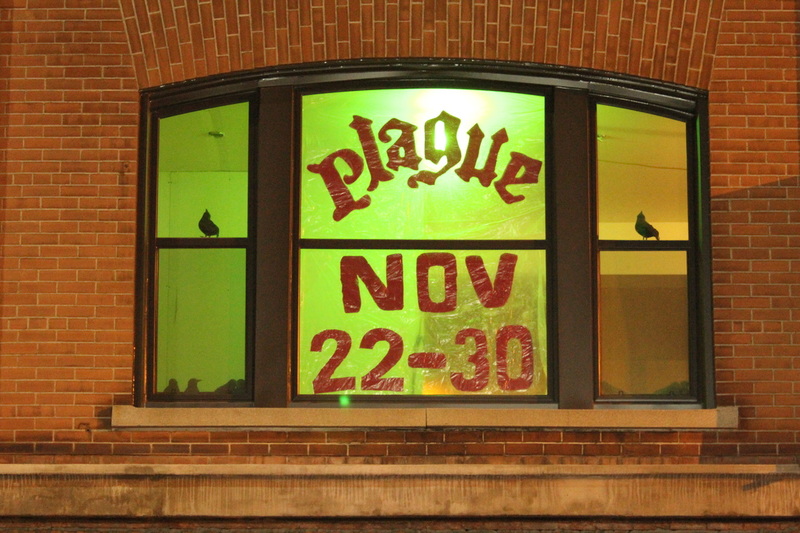 A mysterious sickness, spread by crows, has cocooned a city in paranoia, sending its inhabitants back to a ridiculous kind of medieval superstition. 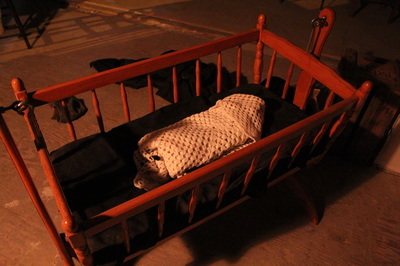 A husband and wife seal themselves in their rundown apartment to look after their screaming unnamed child. While the sickness gnaws at the seams, Bernard and Remy gnaw at each other. 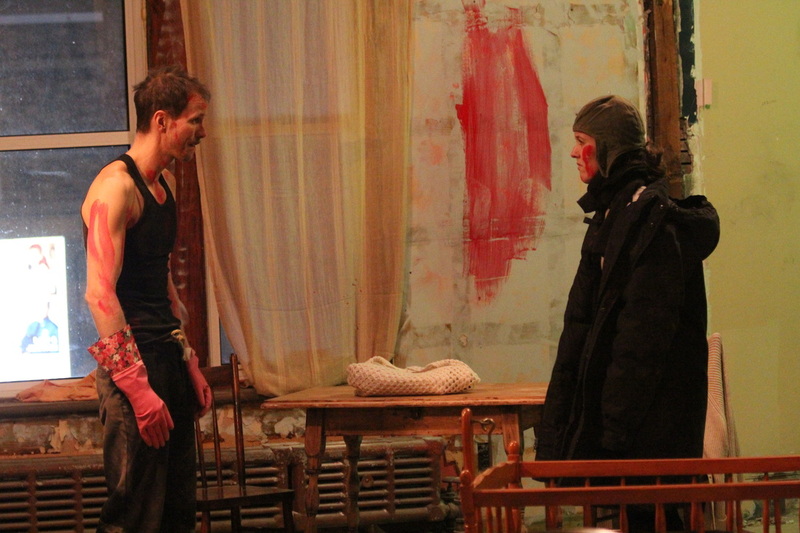 Inspired by Fawlty Towers, Woody Allen and David Lynch, Plague (a sic love story) is a grotesque, black comedy about the sickening power of love. 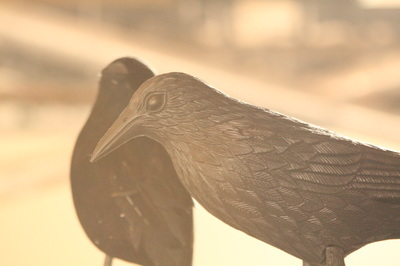 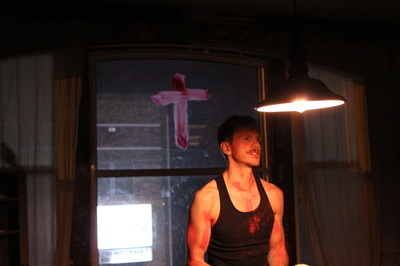 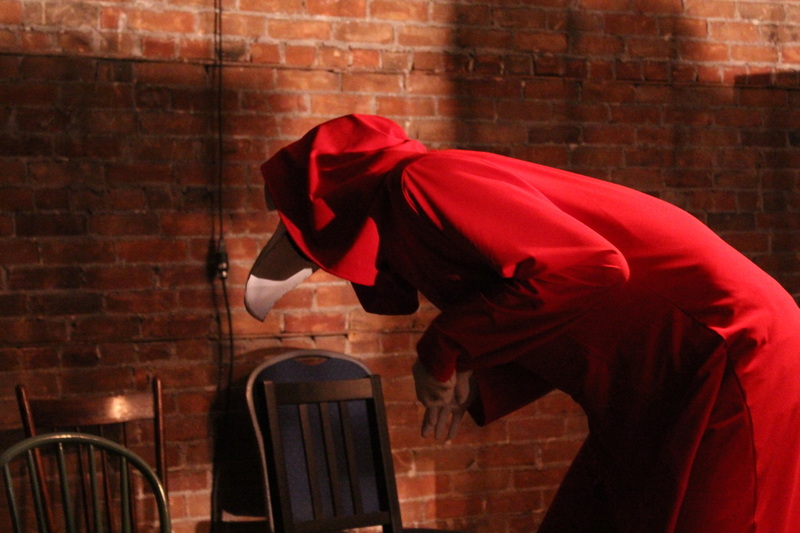 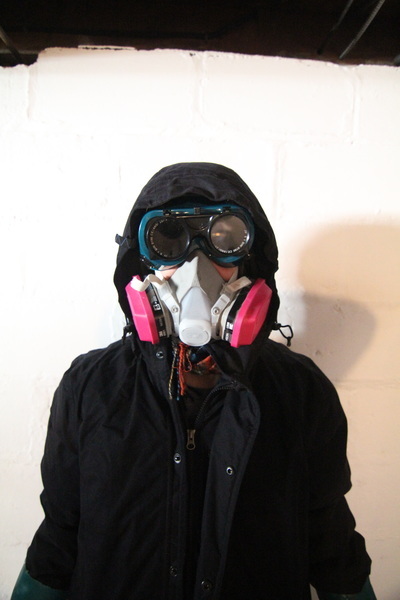 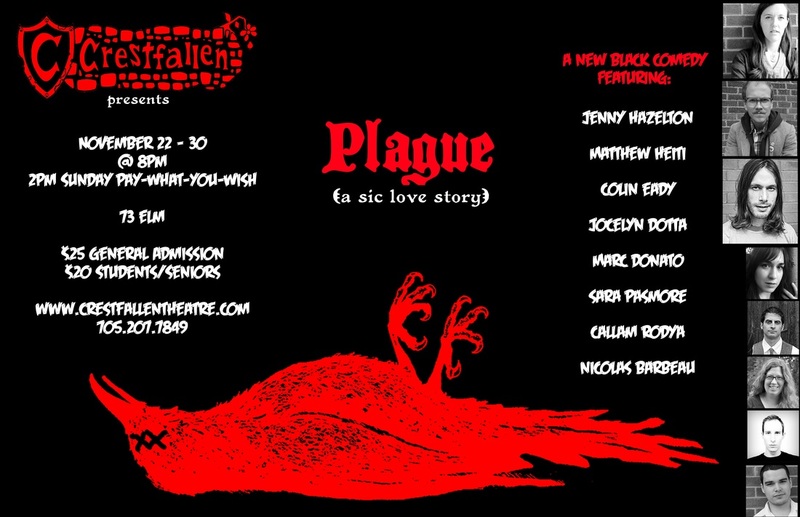 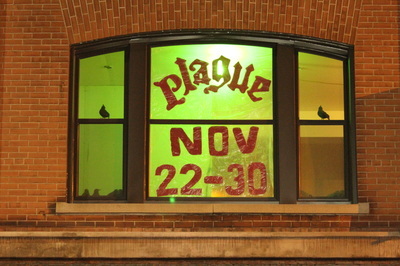 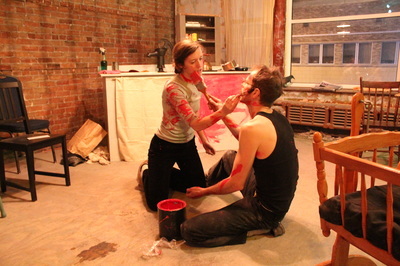 Written by Matthew Heiti and co-created with Jenny Hazelton, Plague (a sic love story) was a site-devised piece. 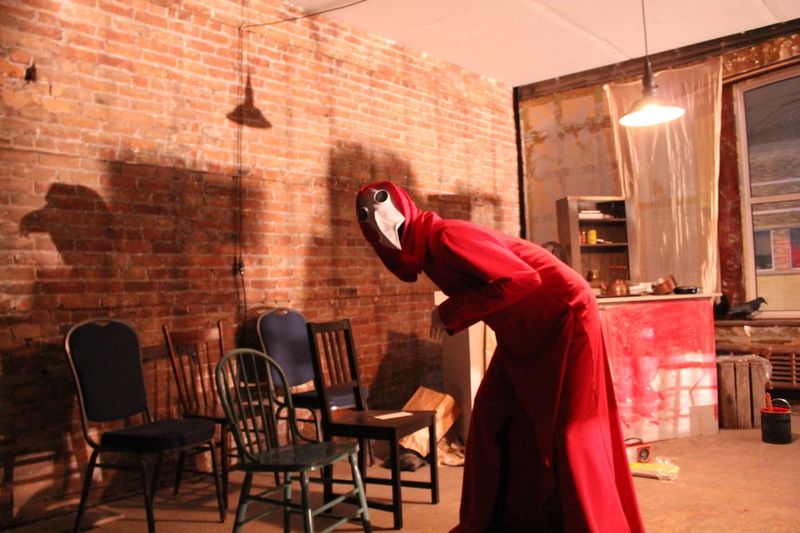 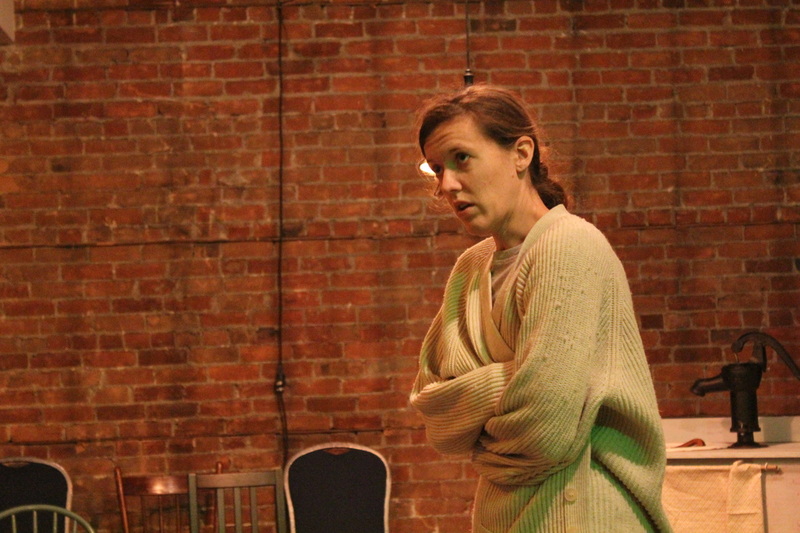 The production was staged on the 2nd floor of 73 Elm, part of the old Muirhead block and one of downtown Sudbury’s most historic buildings. 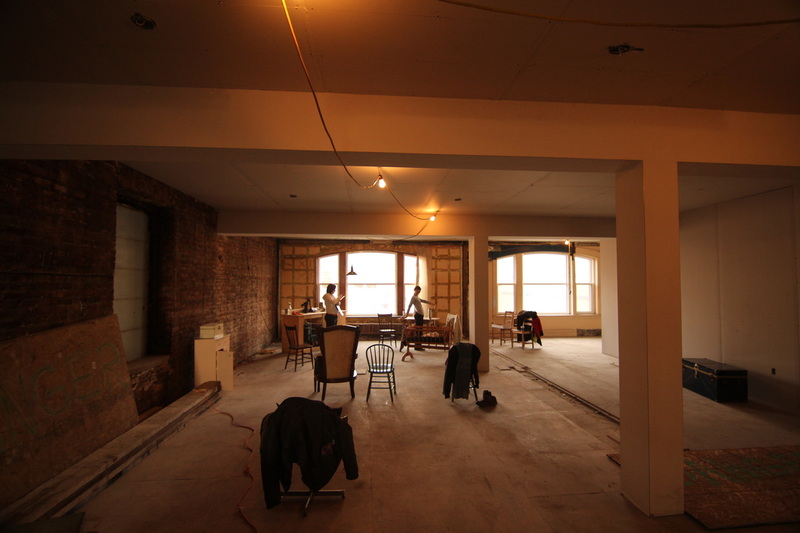 Undergoing renovations, the upper space offered a rare look for an audience into the building’s past, and also served as a truly immersive performance space. Lit by bare light-bulbs, the audience became the inhabitants of Remy and Bernard’s ‘apartment,’ and were co-collaborators in the imaginary world. 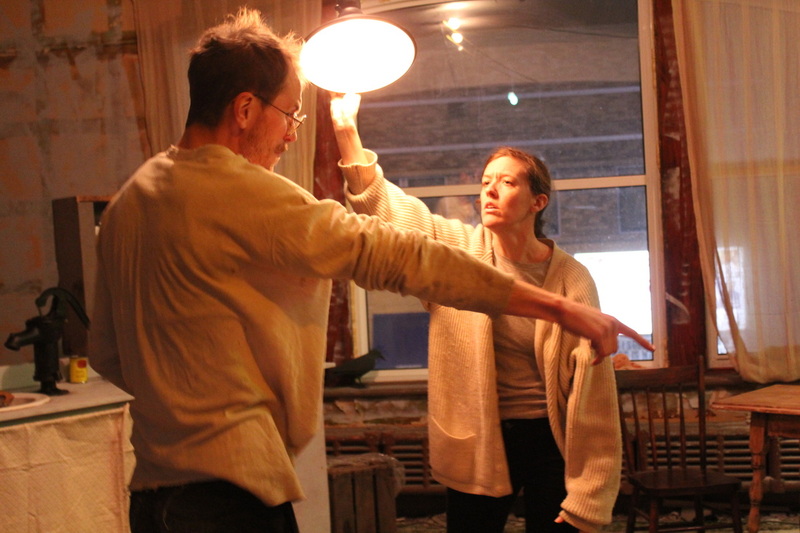 The play began when Heiti was attending the Stratford Playwrights’ Retreat in 2012, and development continued with a workshop as part of Pat the Dog Theatre Creation’s PlaySmelter Festival in 2013.